The project designed towers will rise 38 and 46 storeys from a shared podium structure at the narrow end of the wedge-shaped block. Via Bloor's taller east tower addresses the shape of the block with a rounded triangular floor plate. It perches over the rectilinear podium and ground-level public space, resting on a group of sculptural structural support columns. It is a new condo development by Tridel. It is scheduled for completion in 2021. 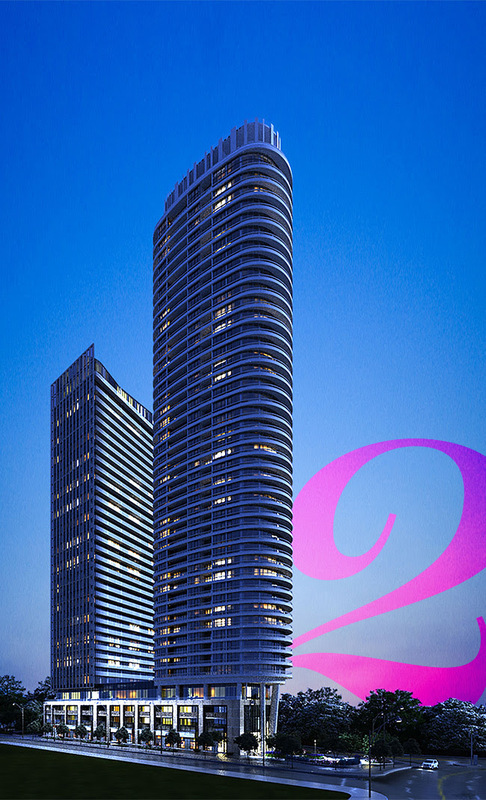 It is the largest high-rise community in Canada. It is a tale of two buildings set to become a neighbourhood of people, public spaces and culturally rich experiences. It will transform the neighbourhood into a vibrant, mixed-use community with a new retail promenade and an expansive community park. It is a shopping, dining and recreation of the paradise. To the west is the shopping and dining of the Yorkville area, and to the east is The Danforth. It is easy walking distance of both Sherbourne and Castle Frank subway stations on the TTC's Line 2. From 522 sq. ft. To 1167 sq. ft.